Plenty of mistakes to review, but should I really be focusing on them? In a recent episode (176) of the Traders Podcast, Rob Booker makes the case that it isn’t the bad trades we should be focusing on but the very best of the good ones. If you were to screen shot every trade at the point of entry, then focus on the very best ten or twenty of these set ups, looking at them, thinking about them, reviewing them regularly, then these set ups will be the ones that we will be attracted to during our trading. We will have set up the neural pathways in our brain so that we will know exactly what we are looking for. A sort of positive thinking, NLP, we are what we think about, way of programming ourselves for success, by repetition of focus on success. I found Rob Booker’s statement one of the most interesting on the podcast for a while. I know this because it had me thinking long after the show, and it is funny how other things just start to relate when the brain is trying to put it all together. One of the books I’m presently reading is Mike Bellafiores Playbook. Mike says his Playbook is there to make more of the trades that make the most sense to you. He says that you need to focus unrelentingly on what setups make the most sense to you. After each trading session he asks his traders to archive a trading setup that made the most sense to them during the day. This exercise he says, brands their winning trades in their trading brains, synthesizes the most important market patterns for them to study, and helps them internalize their best trading setups so that they trade them instinctively in real time. Well isn’t that the same thing? This is the reverse of the, we learn most from our mistakes type thinking, that the fastest way to learn is by making loads of mistakes and learning from them. Keep a journal and look at the mistakes and learn, what not to do next time, so you will know what to do. But surely there’s some logic in this. If we just blank out the mistakes, won’t we just keep repeating them? If we know where we have failed before, can’t we make rules to prevent the failures happening again, or are the rules just there to be broken again until we focus on what we really want rather than what we don’t want. Maybe we can make some affirmations to trade us away from the losers, as much as we can draw ourselves to the winners. With regard to affirmations, experts like Shad Helmstetter would tell us that they have to be said in the present tense as if that is the case now. So you can’t say what you want, or will do, or is going to happen, you have to repeat what you want as if it was true now. Also negative terms like not, don’t, won’t, aren’t recognised by the subconscious, so if your trying to learn what not to do, then your subconscious actually thinks that the things you don’t want to do are actually the things you want to do! And as I said before you can’t use want. I am still going to review my trading results, however rather than come up with any negative affirmations in the future tense after the review, like I won’t do this and that. I will stick to positive affirmations of what I want to do in my future trading but said in the present tense. ”If you commit the same mistake more than once, it is no longer considered a mistake. It’s a conscious decision.” Anon. I always like quotes from Anon. The same Anon said, ” It’s amazing how much more you can learn by making mistakes than you can by making perfect decisions.” Maybe they kept anon in case somebody proved that the opposite was true! Maybe it was an unconscious decision, and maybe the most is learnt after all by success not failure! Trade 0 : Fat finger error. EUR/GBP 07.41. Went to close a market order from a trade I’d decide not to enter, and clicked submit instead opening a trade. Fortunately it did go my way, so I got out without a loss. Affirmation : I am always meticulous to the detail in opening and closing market orders as well as entering and exiting trades. 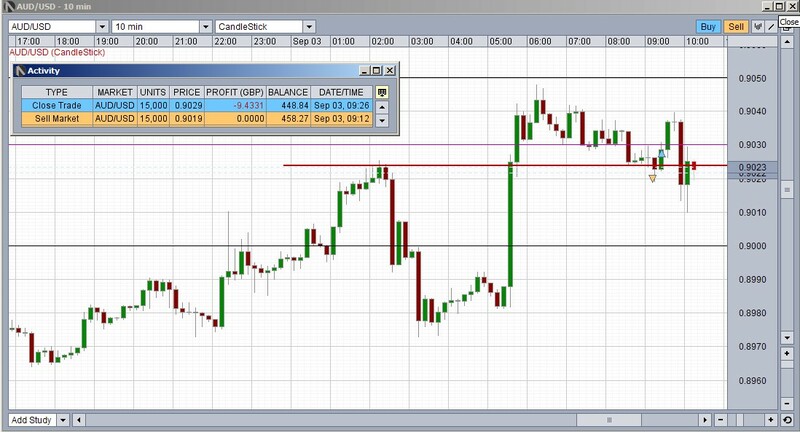 Trade 1 : -9 pips, GBP/CHF, 07.44. 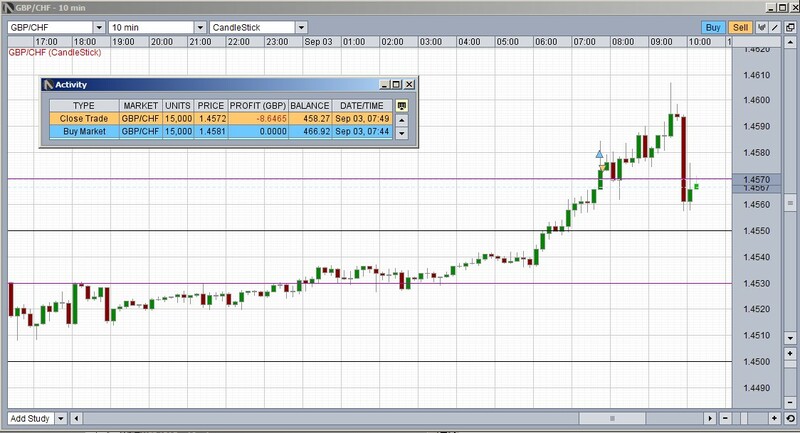 The move including entry and signal candle had already moved over 20 pips before I entered after minute 4. I focused more on waiting for minute 4 than I did on what was happening on the chart. Also entered before 08.00 on the 07.40 candle before my session start and to the end of the opening Europe hour before London. A time I had noted before for Europe retracements. Affirmation : I only take trades that have plenty of space to move in the present push. Affirmation : I am always aware of the time for price reversals. Trade 2 : -10 pips, AUD/USD, 09.12. My signal candle was followed by 3 dojis before my entry candle. Entered on min 2 as I thought I would trade the breakout. I need more experience to trade breakouts. I think I got overconfident having been studying the trade set ups on the thinslice website. 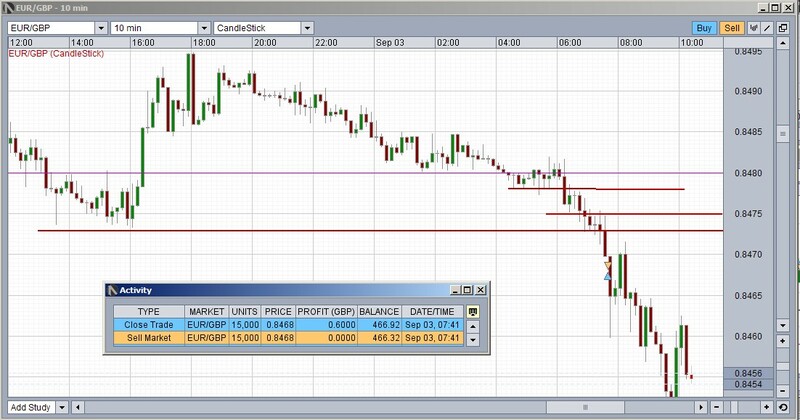 On minute 4 the price always remained more than 2 pips higher than the low I entered on, it was never pushing and confirming and so I would not have entered if had waited for. Also to note I was challenging a recent resistance area as support which would have challenged my trade. Affirmation : I always wait for at least minute 4 before entering. Minute 5 or 6 even better.